Manny Pacquiao’s next opponent says that he’s already defeated six southpaws and sees no reason why he can’t beat another. Algieri is undefeated at 20-0 with 8 KOs, but is the underdog in the November bout against Pacquiao (56-5-2, 38 KOs), who is regarded as one of the top boxers in the world. Algieri has beaten a number of southpaws, including Eric Rodriguez, Curtis Smith, and Wilfredo Acuna. “My coach, Tim Lane is actually a southpaw. He’s a lefty. So, we’ve never had a problem dealing with southpaws in the past and Tim knows all of the southpaw tricks and how do deal with them,” Algieri told Ring TV. 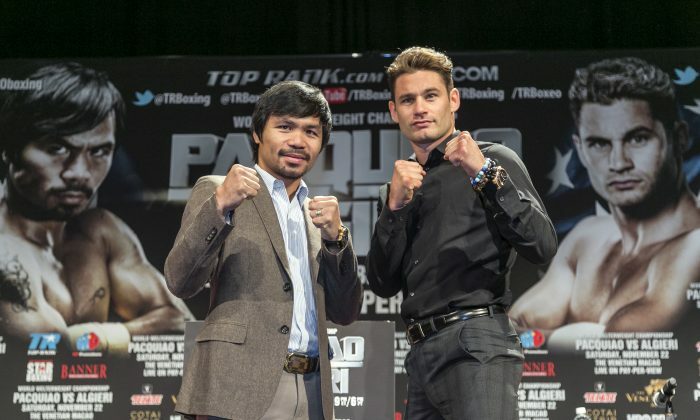 Algieri says that there are some guys in his camp who are similar in size and speed to Pacquiao. He said that he can’t match Pacquiao’s speed but that he can match it with well-timed counters. “I don’t think that anybody has faced a guy with Manny Pacquiao’s style. Manny is his own style and his own person. 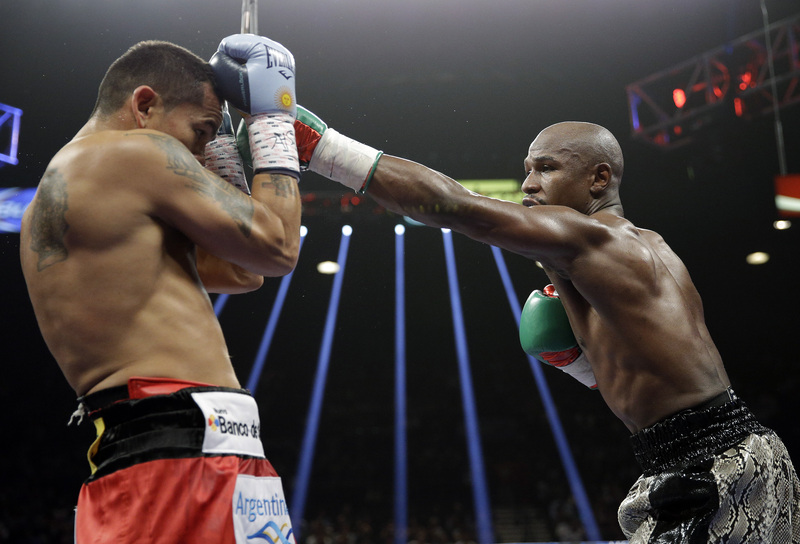 There is not really anybody out there who fights quite like him,” said Algieri, 30. Meanwhile, ESPN commentator Stephen Smith responded to criticism from Floyd Mayweather over Smith’s critical analysis of why Floyd still hasn’t fought Pacman. “Listen, I don’t give two flying [expletive] what Stephen A. Smith say. I ain’t never seen Stephen A. Smith dribble a basketball, catch a football, or box, so I can give two flying [expletive] what Stephen A. Smith say. Quote me on that!” Floyd told Fight Hype. “I’m not gonna get into a Twitter war with Floyd Mayweather Jr. You know how I feel about Floyd, you know how I feel about him as a boxer as a fighter. I think he’s the best in the planet and I stand by that,” Smith responded. Fellow ESPN analyst added that Pacman should continue trying to provoke Money. “Taunt this man. Dare this man to fight you because he continues to run from you,” he said.